Larry practices in the areas of commercial real estate transactions and land use, with an emphasis on land development, land acquisitions, and real estate financing. 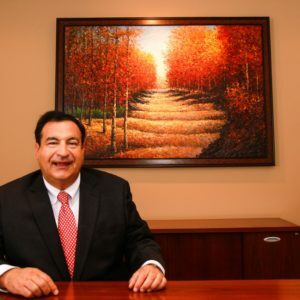 Larry represents many of the largest land developers, builders, and investors in the region in connection with their projects in Delaware. Some of the more prominent projects Larry is currently working on, or has worked on in the past, include: The Christiana Mall; Christiana Retail Center; Apex Office Building; Hockessin Athletic Club; Scott Run Business Park; Town of Whitehall; Concord Plaza mixed-use; Forwood Commons; Linden Hill Station; Barley Mill Plaza and the Odyssey Charter School campus; and Stonewold. With over 30 years of experience, Larry has handled complex real estate and financing transactions, as well as a wide variety of land development and zoning projects. Larry has consistently been ranked as a leading Real Estate/Zoning/Land Use attorney in Chambers USA – America’s Leading Lawyers for Business. He is said to be “[f]irst choice for zonings”, a high-profile attorney with a “thorough knowledge of codes, people and practices.” According to clients, he “excels where you need to think on your feet”. • Emory University School of Law, Law School, J.D. • University of Delaware, B.A.